Thousands of people, mostly women, continue to be held captive by Islamist militant groups, including the Islamic State of Iraq and Syria (ISIS), al-Qaeda’s Syrian affiliate al-Nusra Front, and Nigeria-based Boko Haram. In October, ISIS boasted of enslaving thousands of Yazidi women, and recently disseminated pamphlets justifying their use as concubines. It started when ISIS overran the Yazidis’ ancestral home in Mount Sinjar in the northern province of Mosul in August. 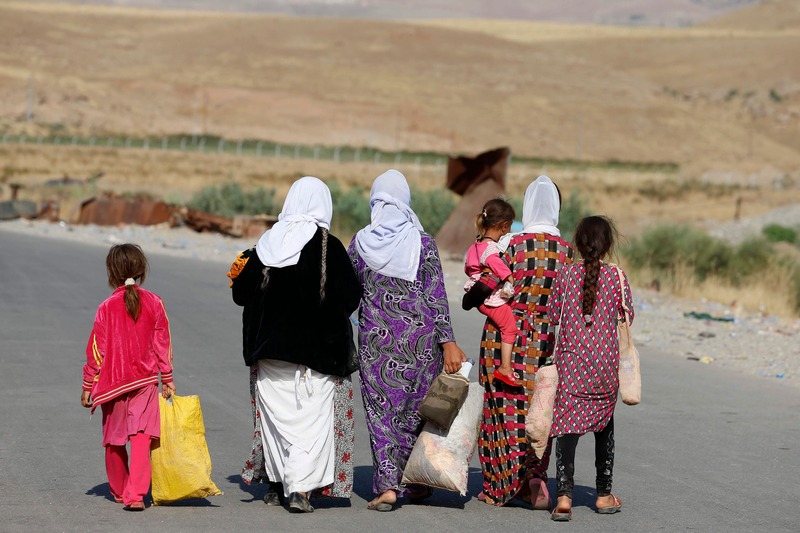 ISIS kidnapped as many as 7,000, mostly women and children. The United States “has no readiness to put its soldiers on the ground to liberate the Yazidi women,” U.S.-based Yazidi activist Murad Ismael, who visited the White House in October to urge Washington to help free the captives, told Al Arabiya News. There has been “no real feedback” either from the Kurdistan Regional Government in Iraq or from Baghdad, he added. Matthew Barber, a Middle East history scholar at the University of Chicago who was in northern Iraq last summer, said there was no “unified Kurdish military” to help the Kurdish-speaking Yazidis. “Amid this fragmented environment, none of those [Kurdish militias] had any loyalty to Sinjar, which isn’t even contiguous with the rest of the Kurdistan province,” Barber told Al Arabiya News. However, “the KRG still had a responsibility to protect Sinjar because of their claim over it, and the fact that they had administrative responsibility of it. But when things got difficult, they had no problem abandoning it. 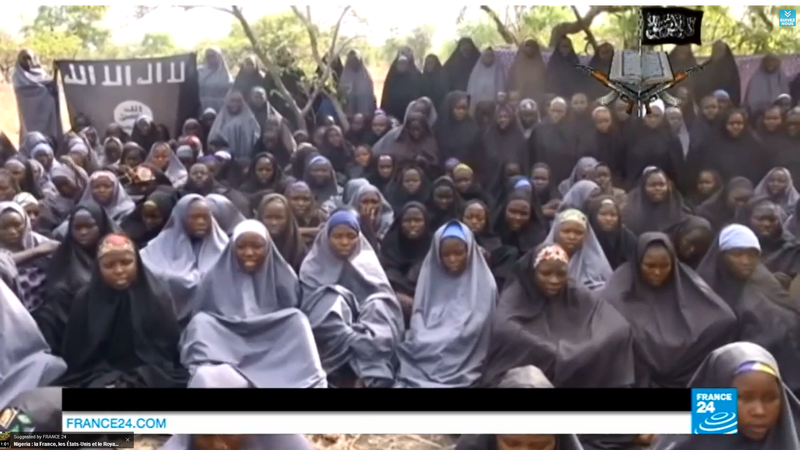 In April 2014, 276 schoolgirls from Nigeria’s northeastern Borno state were kidnapped by Boko Haram. While 63 girls managed to escape in July, the rest remain captive despite the announcement of a truce between the militant group and the government on Oct. 17. What makes freeing them difficult is that “their location is still not known,” John Campbell, senior fellow for Africa policy studies at the Council on Foreign Relations, told Al Arabiya News. 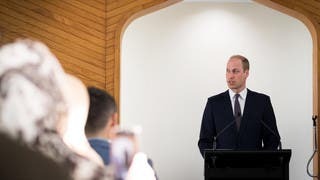 Describing the girls’ future as “bleak,” Campbell added: “The kidnapping is one aspect of the struggle between a grassroots insurrection in northern Nigeria called Boko Haram against the government. Walid Phares, an advisor to the U.S. Congress, told Al Arabiya News: “It’s going to take the entire Nigerian army to win a series of battles against Boko Haram so that a full liberation of these girls can be possible. The schoolgirls are spread out “in areas far apart and very remote from the center of the country and from the reach of the Nigerian army,” Phares said. In August, an estimated 29 soldiers and policemen were kidnapped by ISIS and Al-Nusra Front during a five-day battle with the army in the northeastern town of Arsal on the border with Syria. So far, two have been beheaded and one killed. 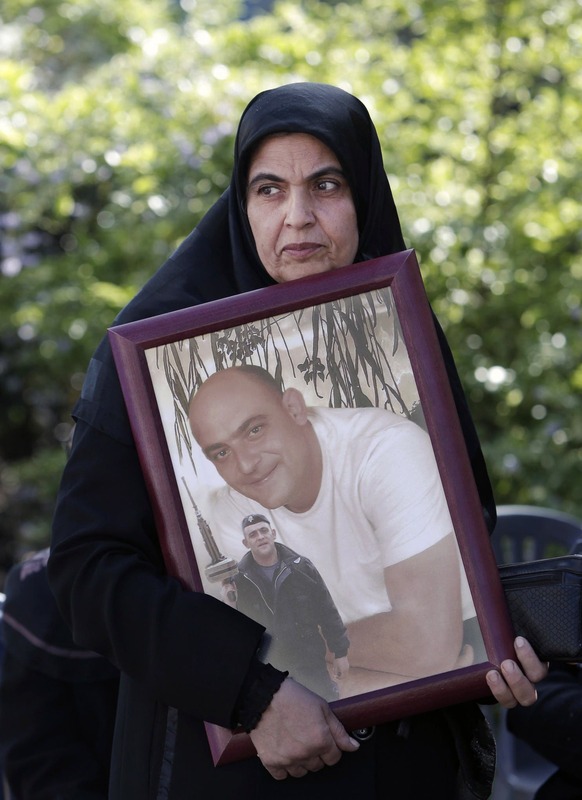 Soldiers families’ have protested and blocked thoroughfares to pressure the Lebanese government at least to swap their sons with militants, as the kidnappers’ demands include releasing Islamist prisoners. The government “isn’t able to end the situation as it wasn’t able to swap the soldiers with the terrorists, especially since these imprisoned militants are charged with killing soldiers,” Ahmad Mosali, professor of political science and Islamic studies at the American University in Beirut, told Al Arabiya News. The government “is backing the army, but not to a degree where it’s able to eradicate these groups through a full-fledged military campaign,” he said. Mosali described the government as “semi-paralyzed in coping with the kidnappers’ demands,” as some politicians are against a swap. John Cantlie, a British war photographer for the Sunday Times, was rescued in July 2012, but was kidnapped in Syria again with James Foley in Nov. 2012 and remains a hostage. 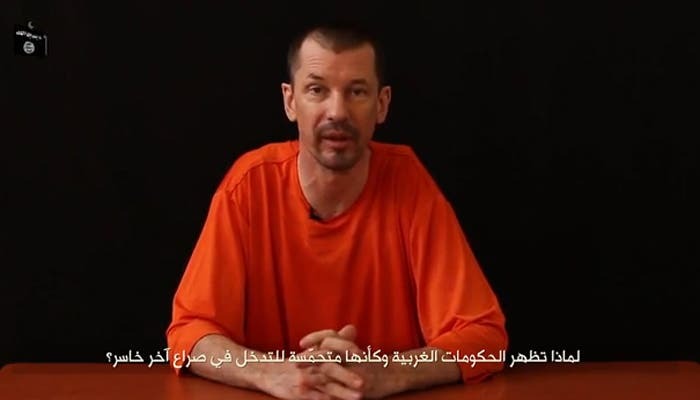 In late November, Cantlie appeared in an ISIS video talking about a failed U.S. raid to save him and five fellow captives. In the video, he castigated Washington for mounting the raid instead of initiating prisoner-release negotiations or paying a ransom. 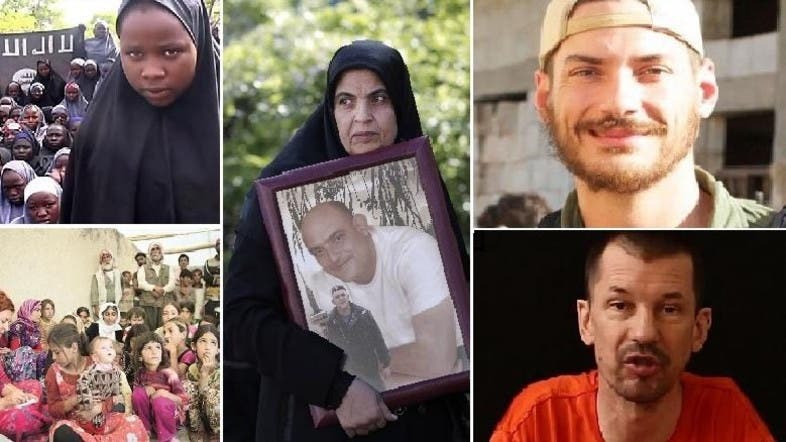 In September, British Prime Minister David Cameron urged world leaders not to pay ransoms to militants as this would fund more terrorism against the West. U.S. aid worker Peter Kassig, who was a convert to Islam, was killed by ISIS, which posted video footage of his last moments online. The group also holds a 26-year-old American woman whose fate is unknown. ISIS did not show a video of its recent beheading of four Iraqi Christian children who refused to convert to Islam. The Committee to Protect Journalists says some 20 journalists are missing in Syria, most of them locals. Austin Tice, an American freelancer who contributed articles to the Washington Post, disappeared in Syria in Aug. 2012. There has been no word of him since.